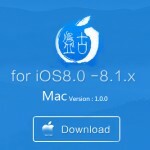 This is How to jailbreak with Cydia download & install for iOS 8-8.1 running iPad devices [Pangu8 – Mac]. 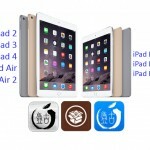 For iPad Air 2, iPad Air, iPad 4G, iPad 3G, iPad 2, iPad mini 3, iPad mini 2, and iPad mini devices. Step by step.. Step 1. Upgrade your Firmware to iOS 8.1 (Strongly recommend Restore to iOS 8.1 using iTunes) and fully back-up. If you are already updated your iPad on iOS 8.1 via the OTA, also should need to restore with iTunes to iOS 8.1 for avoid Pangu8 fail the jailbreak. Step 3. Connect your iPad device to Mac computer using the USB cable. Step 5. Then it will be detected your iPad. Click the Start Jailbreak button to start the jailbreak. Step 6. It will appear “Notice of Pangu 8 window”, click Already did button. Step 7. 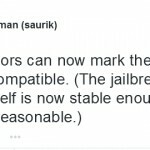 Wait until 100% complete the jailbreak process. After successfully complete the jailbreak process, your iPad will automatically reboot and you can see Pangu8 app and Cydia app on your iPad’s home scream. Congratulations, that means you have successfully jailbroken your iPad with installed Cydia. Cydia is now stable on iOS 8, Harry to download..! 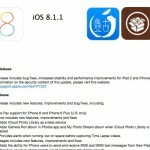 How to Cydia download for iOS 9 – 9.0.2 using Pangu jailbreak on Mac? 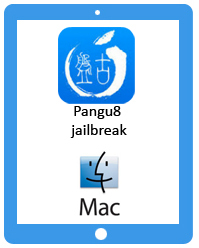 Pangu iOS 8.1 jailbreak for Mac Released. I do not have a MAC computer. Only iOS devices and a pc laptop. How do I install Cydia that way?